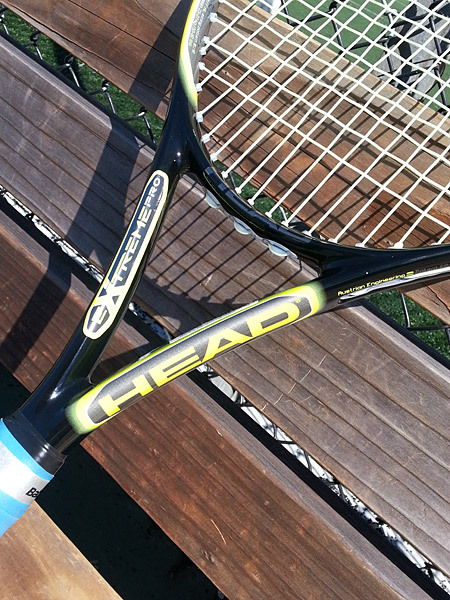 Racquet Review: The Head Extreme Pro 2.0 Is Too Much Stick! « A Growing Trend Of “Wishful Thinking” (Bad) Line Calls? The Basics: Power, power, and more power! That sums up my hitting session with the HEAD Extreme Pro 2.0. Used by Richard Gasquet and Mikhail Youzhny, this racquet is one of the most powerful racquets I’ve hit with in a long time. Since I don’t necessarily need more power in my game, this was a tricky racquet to demo. Fortunately, the Extreme Pro comes with a dose of control to help mitigate its’ excessive power. Without that control, recommending this racquet to anyone who already has decent power in their strokes would have been a non-starter. Forehand: The best way to hit an effective forehand with this racquet was to pretend as though I was hardly trying. And as most players know, that’s hardly a realistic strategy when you’re in a pressure-filled match. Whenever I found myself “trying” to put some extra pop on the ball, it would fly uncontrollably. Backhand: Because my backhand is a little more temperamental than my forehand, controlling my two-handed backhand shots was even trickier. it was hard to find my comfort zone. Serve: The racquet was surprisingly comfortable for my serve given its’ power. IT was still challenging to find the comfort zone where I could attempt to put some pop on my serve AND also keep it from hitting the back fence. Volleys: Volleys were okay. Good volley technique is especially helpful with this stick. Overall: The HEAD Extreme Pro 2.0 is too much stick for my tastes. I can see it being a beneficial for someone who needs more power in their game. For those who already have a decent power game (but not the greatest technique), you’ll spend most of your time trying to keep from hitting the back fence. Use at your own risk. 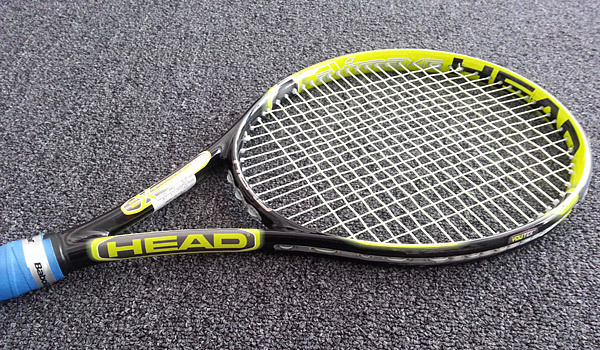 Do you know what overgrip is on this racquet? MB, my source at City Racquet shop thinks it was probably the Babolat Pro Team Tacky. I did this review awhile back, so that’s why she’s not sure. I’ll make sure to take note of the overgrip in my next racquet reviews.